Final registration numbers are in for the world’s biggest fighting game tournament – and for the first time in years, Street Fighter isn’t top of the pile. Evolution is the world’s biggest fighting game tournament. 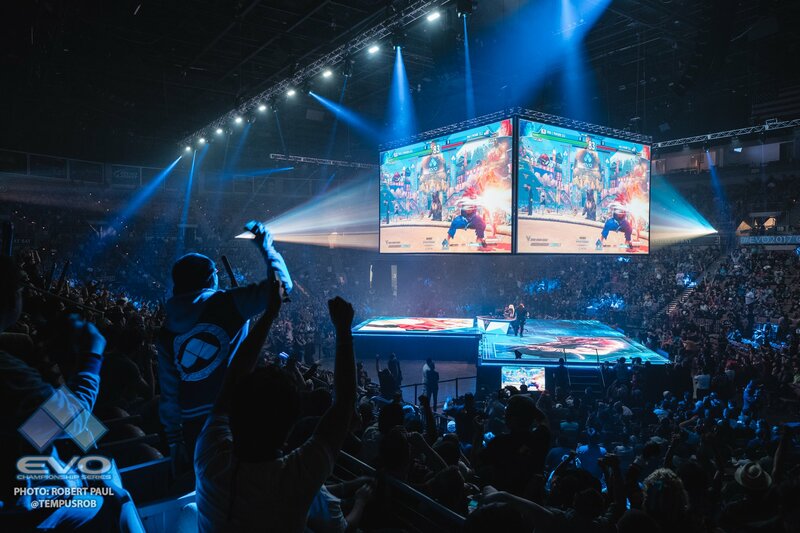 While games like Street Fighter and Tekken have their own publisher-backed esports championships, many still refer to Evo as the ‘world championship’ for those games. It’s the largest and most prolific open-entry tournament in the world, packing out the Mandalay Bay Events Center, a huge 12,000-seat arena in Las Vegas. Evo is amazing fun to watch, and you’re going to hear me preaching a lot about it over the next few weeks. This is significant and interesting for a few reasons. For one, Dragon Ball FighterZ is making Evo history as the first game in a very long time to surpass Street Fighter, managing to just pip Street Fighter 5: Arcade Edition to the post by around 100 entrants. That’s great news for Namco – Tekken has always been a staple at Evo and comfortably takes third place again here (and maintains good numbers on last year), but Namco has never had an Evo game quite this big. Dragon Ball FighterZ is a brilliant game, and it’s unique in that it’s somehow managed to pull players in from all corners of the fighting game community. It’s taken in the Marvel vs Capcom refugees in light of the failure of Infinite, but a lot of Street Fighter, Tekken and Smash players all play it as a secondary game. Dragon Ball’s numbers this year are impressive – though it falls short of beating Street Fighter’s figures from last year. Speaking of Street Fighter, its fall to second place isn’t all bad news, either: while it’s seen a small drop on last year’s entrants, SF5 appears to be holding its player base well. Its entrant numbers are still a good chunk higher than the highest-ever year for any iteration of Street Fighter 4, too. This is well deserved if you ask me, since Arcade Edition is a really strong righting of the ship after a difficult launch. Then there’s Smash. After trading blows throughout the registration period Super Smash Bros. for Wii U comes out on top over Melee by just one player. Despite being similar games these are disparate communities that bicker like the worst kind of siblings, and there are now sure to be arguments over who really deserves the coveted Sunday Grand Finals streaming slot. That slot has already awarded to Melee, but there’s sure to be chatter about its one-man deficit in entrants going forward. Mind you, 1300 players sure isn’t bad for a game that’s nearly old enough to drink here in the UK. Lingering at the bottom of the table there, despite DLC and updates, is Injustice 2. It seems interest in that game is finally falling away completely – so it might soon be time for Warner Bros and Netherrealm Studios to step up with Mortal Kombat 11. The only question that remains now is the order in which the top games will be played on the big stage on Sunday – and if any games will be televised. Last year Street Fighter broadcast on ESPN while Smash also made its way to the Disney Channel – and with the tournament set to happen in just a few weeks and registration now closed, those answers are likely coming very soon. Evo 2018 takes place August 3-5 in Las Vegas, Nevada.